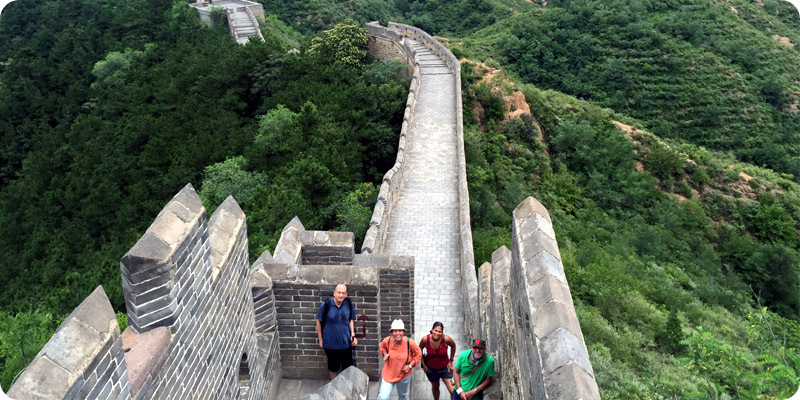 Enjoy glorious views of the Great Wall by being part of our Beijing small group tour! The Simatai Great Wall Tour will render you breathless with its splendid views. 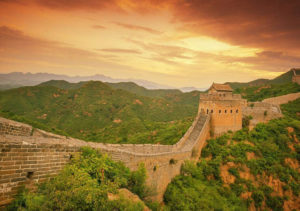 Whereas the Jinshanling Great Wall tour will a peek into the intriguing history for the great wall, allowing you to walk a mile in the shows of a Ming Dynasty solider! 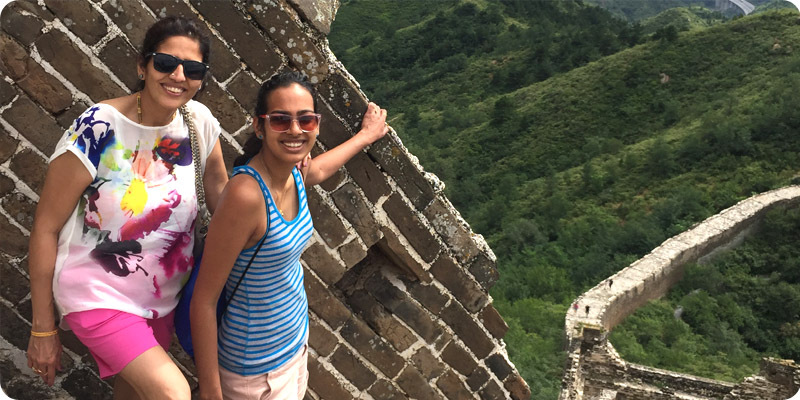 Our one-day Beijing tour includes both Simatai and Jinshanling sections of the Wall which are popular amongst the tourists and hikers for their astounding views. These carefully renovated sections of the Wall along with scenic backdrop can help you take fantastic pictures and create fond memories. Hiking up to the most scenic section of the wall situated on the ridge of the mountains. Witness historical watch towers in person during your Simatai to Jinshanling Great Wall tour. Free drinks and snacks at our Refreshment Kiosk. Learn about the Chinese history and culture by having interesting discussions with your bilingual guide. End your day with a scrumptious Chinese lunch at our carefully selected restaurant. Guide: Highly trained, learned and experienced guide with a friendly demeanor. Driver: Professional licensed driver with more than 5 years of driving experience under his belt. Vehicle: Comfortable air-conditioned car with the capacity to seat a maximum of seven people, large windows and GPS. Customer service & support: Round the clock service provided by the local China Small Group Tours office located in Beijing. In order to start your Simatai to Jinshanling great wall hike on time, we skip the highway traffic by leaving early. Depending on the location of your hotel, it would take 15-20 minutes to reach the highway. If necessary, we will take a 20 minutes restroom break. The entire drive will take between 2-3 hours depending on the traffic. On arrival, we will purchase entry tickets and take a fifteen minute hike up to point where our Simatai Great Wall tour will commence. 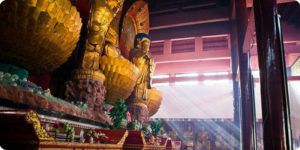 Find out details about your Beijing tour guide, driver and the pickup time a day before your tour by visiting the following site: https://www.China Small Group Tours.com/track-your-trip.html. All relevant information will be updated only 24 hours prior to your tour. In case of any issue accessing the information, contact your trip advisor. Tourists are not allowed to enter the east part of the Simatai Great Wall due to the ongoing renovation work. 130 kilometers away from Downtown Beijing, the Simatai West – Jinshanling Great Wall was first constructed in the late 14th century during the early period of the Ming Dynasty. Following a raid from the Mongol nomads, this section of the wall was refortified in the mid-16th You can learn more about the history of the wall by asking our highly knowledgeable guides! Your Simatai Great Wall tour will begin at a historic watched tower called Houchuankou Pass. Following this first pass, you will witness several unique towers throughout your tour. 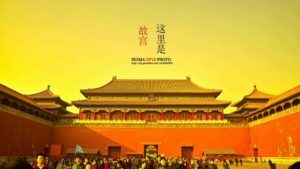 You will be rewarded with amazing, panoramic views of the Wall to gaze at and take pictures of during your Beijing small group tour. Built on sharp mountain ridges, the remarkable architecture of the Great Wall will leave you feeling exhilarated and amazed at the sheer talent of the workers and engineers who built the Wall hundreds of years ago. 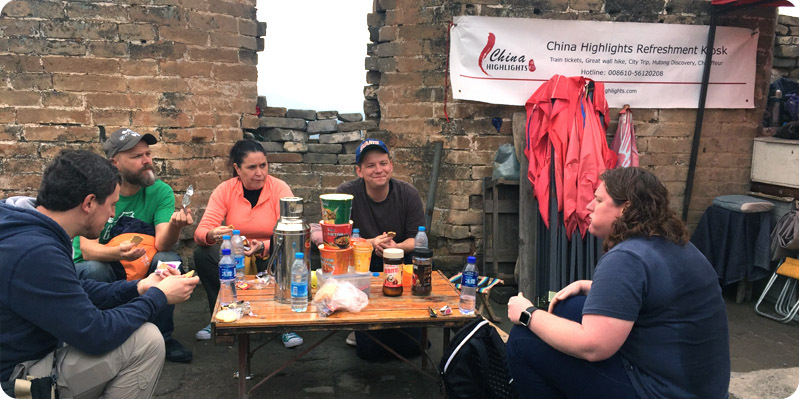 Halfway through the Simatai to JinShanling Great Wall Hike, around 10:50 AM, we shall stop at China Highlight’s Refreshment Kiosk for water and snacks. We can take more stops to rest if you feel too tired, especially during the summers. Our Beijing small group tour will go through several towers which will offer shade from the blistering sun. Some towers even have tiny temples on the top which you can check out if you have any energy left! 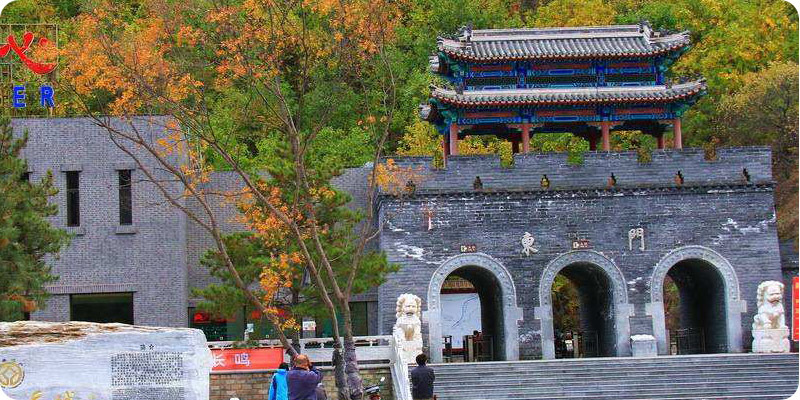 The hike will end at the Zhuandoukou Pass (砖垛口), which is a remarkable architectural feat consisting of three-stories with large wooden, red windows facing the north. 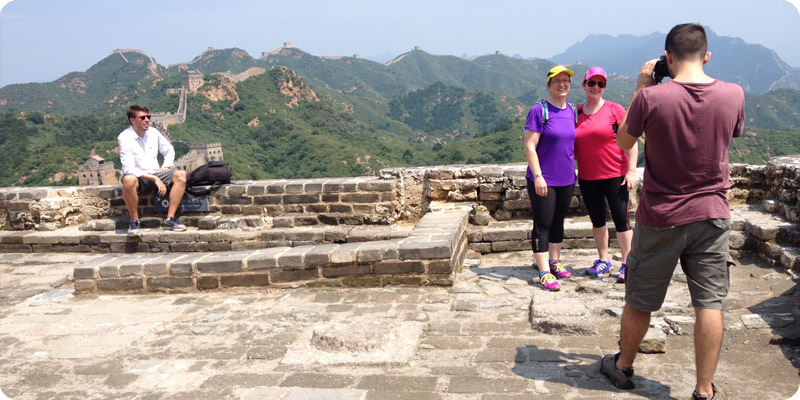 As this would be end of your Simatai to JinShanling Great Wall Hike, make sure to take plenty of pictures! Tired and hungry from your hike, you will be welcomed by warm, delicious, traditional Chinese food prepared by a restaurant owned and run by local villagers. 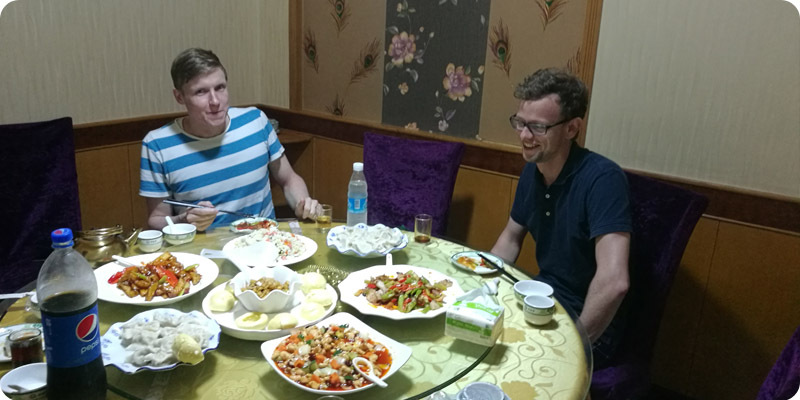 You will be served mouth-watering North Chinese delicacies such as fried tomato with eggs, stir-friend bok choy and roasted eggplant with potatoes and peppers and much more! After enjoying your lunch, we will walk down the road to meet the driver who will be waiting for you in the parking lot. You may want to use the restroom, or do some post-hike stretch exercises before embarking on your journey back to the hotel. The ride back to your hotel will take around 2.5-3 hours, so you can use this time to take a nap or reflect on the Beijing tour you just took with your fellow hikers. 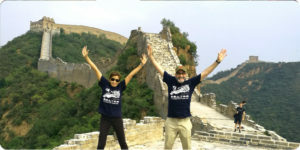 The Simatai to JinShanling great wall hike tour is available every Monday, Thursday, Saturday and Sunday. The Beijing tour will not be available from Nov 15 till Feb 13 due to cold weather. Entrance fees at Jinshanling and Simatai West. Drinking water on your Simatai to JinShanling great wall hike. Gratuities. Usually between 60 to 100 CNY per day. You are not obliged to pay the driver and tour guide but if you are tipping them, please tip them separately. 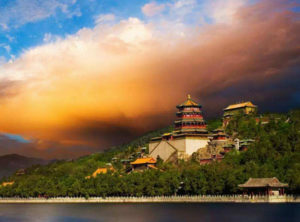 If, due to a natural calamity or factors which are beyond our control, China Small Group Tours fails to fulfil its obligations, we shall inform you as soon as possible to offer you the best available solutions. China Small Group Tours will only charge you for the services provided. Cancelling the Beijing tour seven days before departure would get you a 100% refund, minus the penalties charged by hotels, airlines, railways and PayPal. All such penalties shall be mentioned in your bill. Cancelling your Beijing tour 7-3 days before the departure would get you 90% refund, minus the penalties charged by third parties. Cancelling your Beijing tour within 3 days of departure would get you no refund at all. China Small Group Tours would not entertain any refund requests after the tour has commenced. For groups larger than 10 people, cancellation policy would vary according your situation. Your travel advisor who will guide you regarding the cancellation policy for your group. We provide pick and drop services from and to your Beijing hotel without any extra charges. This offer only applies if your hotel is situated within Beijing’s fourth ring road. For transportation beyond that point, extra charges may apply. In such cases, your travel advisor will notify you about the extra costs. Our experience and professionalism speaks for itself! 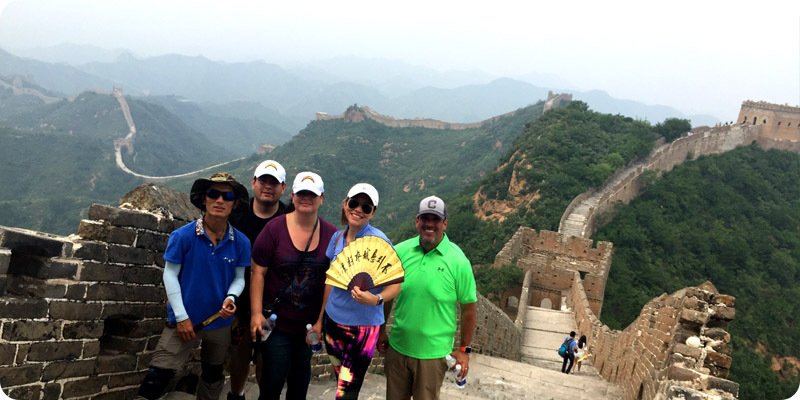 As we have been touring the hiking trails on the Great Wall for the past 8 years, we know what exactly what services you need to have an enjoyable tour. We provide equipment such as trekking poles, hip bag, GPS, walkie-talkies and first aid kits free of cost! We provide international standard service! Our guides include several well-educated, experienced westerners, so that you won’t be stuck with a guide who can’t even communicate with you properly! Fluent in English and Mandarin, our guides are highly trained in mountain training. They will take care of your needs throughout the trip! Exceptional local customer care and service! Free cold drinks at our Refreshment Kiosk in a watchtower during the Jinshanling great wall tour. Authentic and delicious Chinese home style food for lunch right at the end of the hiking tour. No unnecessary stops at commission-based shopping stops. Our rates are clearly stated on our website. There are no hidden costs or charges. Local office with more than 50 staff members to ensure quality and comfort to every single customer.